Story Book Early Learning Centre, located in Essex, Ontario, is an award-winning non-profit and community-based early education and child care services facility. We have become well-known for providing a superior and enriching environment for the mental and physical growth of your children. Our child care services facility isn’t just a daycare. We provide structured child care programs for children ages 3 months up to 12 years. Our Early Learning Center professionals believe in creating an environment that is safe and fun for all of our children, including those with developmental challenges. We provide a positive learning environment that expands on their inquiring minds. Through play-based learning, the children show a natural curiosity while developing personal skills such as independence, creativity, motivation, problem solving techniques, social and intellectual skills and much more. We have well-qualified, experienced and professional staff that use the Early Learning for Every Child Today (ELECT) document as a framework for learning. In developing our early learning and child care programming for the children, we use a purposeful play-based learning curriculum. Play is balanced within a structured environment with each classroom having their own daily schedule. The staff plan a developmentally appropriate curriculum by following the children’s lead and interests. Our school is monitored by a board of directors which includes both parents and members of the community working together for the growth of our children. We believe in bringing the community together to raise our children. 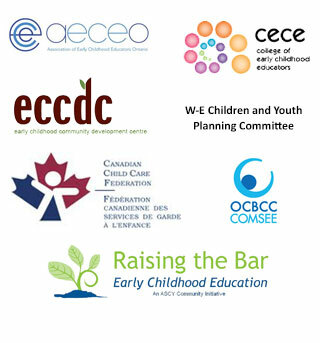 Because Story Book Early learning Centre is a registered charitable organization, we have access to government grants and are able to accept donations making it possible to keep child care fees reasonable and affordable for everyone. We are fully licensed by the Ministry of Education and regulated under the Child Care & Early Years Act, 2014, and meet all Health and Safety Regulations. Our commitment to our program is so strong, we offer a money-back guarantee.